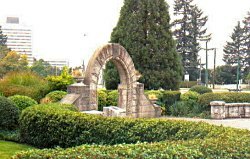 Named after Robert Burnaby who had explored the region in 1859, Burnaby was incorporated in 1892 and achieved city status 100 years later. 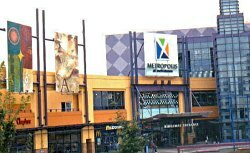 Burnaby has evolved from a predominantly suburban, bedroom community to an urban centre in its own right -- and with commercial and industrial development, the population has never stopped growing. Burnaby features high density residential areas, major commercial town centres, rapid transit, high technology research and business parks, comprehensive industrial estates, and major post-secondary institutions. 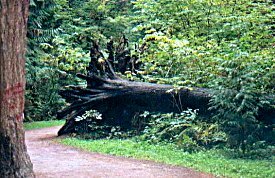 Before the advent of settlers in the late 1800's, the area now known as Burnaby was a land of tall trees and wilderness. 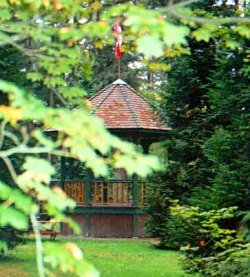 The earliest pioneers settled around 1850, and by 1896 Burnaby had its first park along with a store, post office, two schools and a church. The community developed slowly until 1887, when the Canadian Pacific Railway was extended into Vancouver from the Port Moody terminal. With the dramatic increase in traffic between New Westminster and Vancouver, a tram line connecting the two centres through Burnaby was built. In the first several decades after incorporation, Burnaby's growth was influenced because of it's location between the expanding centres of Vancouver and New Westminster. First serving as a rural agricultural area supplying nearby markets, it later served as an important transportation corridor between Vancouver, the Fraser Valley and the interior of the Province. Continued growth saw it transformed from a farming area to a residential community. Accommodations: There are a full range of accommodations including numerous motels and hotels, as well as bed and breakfast places, camping and RV parks. Elevation: Ranges from sea level to a maximum of 1,200 feet atop Burnaby Mountain. May Queen Clara Woodridge dedicated Jubilee Grove as a garden in Central Park. Climate: Moderate with warm summers, and cool rainy winters. Main Industries: Burnaby has a large commercial centre; manufacturing; large industrial parks; warehousing and distribution and a growing high-tech industry. 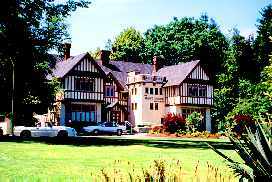 Location & Access: Burnaby, British Columbia, is located between the City of Vancouver, BC, on the west and Port Moody, Coquitlam and New Westminster on the east. On the north the city is bordered by Burrard Inlet, and to the south by the Fraser River. The city is on BC Hwy 99A, 12 km (7 mi) east of Vancouver. Main entrances from Highway 1 are the Grandview Highway, Sprott Street, Willingdon Avenue, and Cariboo Interchange. Recreation Facilities and Activities: Swangard Stadium and numerous other sports, recreation, and community complex's, Burnaby Lake Rowing Pavilion, Tennis / Racquet courts, Burnaby Velodrome (North America's only indoor cycling track), golf courses, wildlife sanctuary, fishing, boating, swimming, museums, arts studios, theatre, shopping and dining. Local Attractions: Simon Fraser University and Burnaby Centennial Park, both on Burnaby Mountain; Deer Lake; Century Park that includes Century Garden, Burnaby Art Gallery, James Cowan Theatre, Shadbolt Centre for the Arts, the Art Gallery at Ceperley House in Deer Lake Park, Burnaby Village Museum and Carousel; Burnaby Lake Regional Park; Central Park; Metropolis and Metrotown Centre.